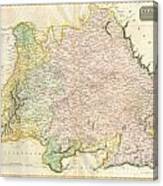 There are no comments for 1814 Thomson Map Of Bavaria Germany. Click here to post the first comment. 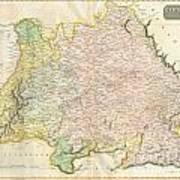 This hand colored map is a steel plate engraving, dating to 1814 by the important English mapmaker John Thomson. 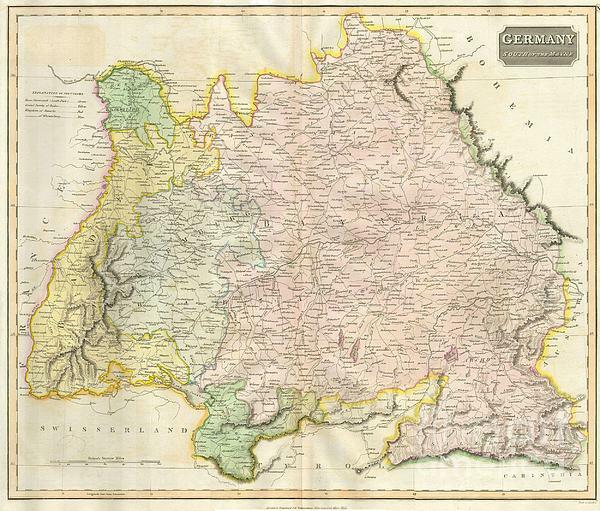 It depicts the Bavaria and Southern Germany in stupendous detail. Thomson maps are known for their stunning color, awe inspiring size, and magnificent detail. 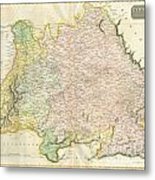 Thomson’s work, including this map, represents some of the finest cartographic art of the 19th century.